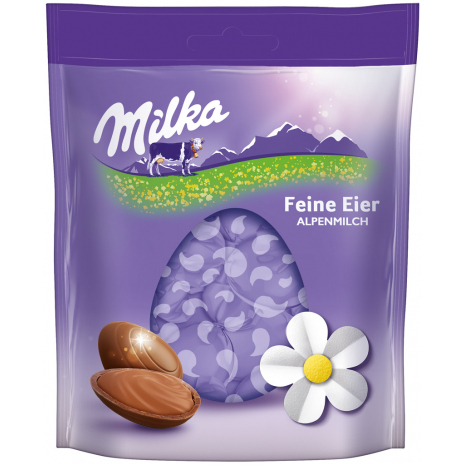 Individually wrapped chocolate eggs made from delicate Alpine milk chocolate. This individually wrapped chocolate eggs are filled with delicate Alpine milk chocolate and should not be missed in any Easter basket. They are also very well suited for snacking in between.